In June 2018, Jim Matheson, CEO of the National Rural Electric Cooperative Association, met with Ajit Pai, chairman of the Federal Communications Commission, to discuss efforts to deploy broadband in unserved and underserved rural areas. It may seem at first glance an unlikely alliance: the leader of a rural trade association spawned by Franklin Delano Roosevelt’s New Deal and the chief regulator of the nation’s urban-centric telecommunications behemoths. But the men have two things in common. First is the digital divide that poses a significant threat to the future of rural Americans. Second is the belief that electric cooperatives are uniquely positioned—by history and mission—to help deliver broadband to the last mile. 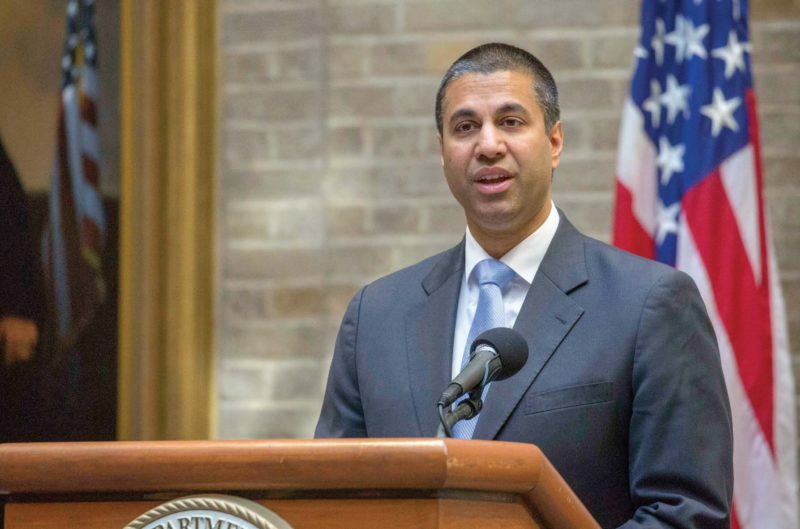 Pai, who made history as the first Indian-American to hold the position of FCC chairman, is no stranger to small towns, having spent his formative years in Parsons, Kansas. When the FCC’s influential Broadband Deployment Advisory Committee was formed in 2017, the roster included executives from companies such as AT&T, Comcast and Sprint. It also included Matheson. During the committee’s June meeting, Pai mentioned he was soon headed out on an extensive listening tour that would take him through remote areas in four Western states. Matheson and his team offered to help facilitate a meeting with co-ops that were blazing their own path with respect to broadband. Pai and his wireless adviser, Jay Schwarz, were quick to accept the offer. This led to a meeting not far from the original Oregon Trail with Tommy Wolff, manager of Columbia Basin Electric Cooperative based in Heppner. CBEC’s 3,005-square-mile service territory is largely agricultural. Eastern Oregon’s once-thriving timber industry has long since faded. The steady wind off the Columbia River makes the terrain a favorite among wind developers, but the landscape is still sparsely settled, leading Wolff to deem it as more “frontier” Oregon than “rural” Oregon. While the town of Condon in CBEC’s territory has produced not one but two Nobel Prize winners, the lack of high-speed internet in much of CBEC’s territory makes it exceedingly difficult to produce a third such laureate. “Our members are frustrated by the slow connectivity,” Wolff told Pai. Wolff explained this frustration was going far beyond his members’ inability to watch Netflix. Slow download speeds means lost economic development opportunities. Students at a local high school lag far behind their regional peers when it comes to technology. During their meeting, Pai studied a map of CBEC’s territory as Wolff outlined the co-op’s ambitious direct fiber to the home broadband initiative: a plan to facilitate the build-out of high- speed internet connectivity to all of its members using a variety of partners and technologies. While the results of a feasibility study for the plan are pending, Wolff told Pai his agency played an integral role in making the project viable. 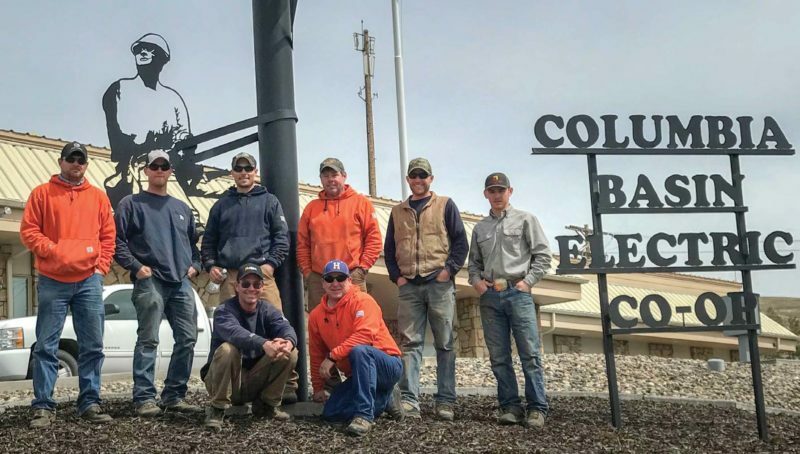 Columbia Basin will participate in the FCC’s Connect America Fund auction, which will help make broadband more affordable for Columbia Basin consumers. After returning to Washington, D.C., Pai also drafted an op-ed with Congressman Greg Walden, who represents Eastern Oregon and is the chairman of the House Energy and Commerce Committee. Pai and Walden’s op-ed was published in the East Oregonian newspaper and highlighted Pai’s visit to Oregon. Matheson believes the co-op/FCC relationship is paying dividends. Connecting rural economies isn’t necessarily new for electric cooperatives. In his tweet following the meeting with CBEC’s Wolff, Pai also noted the good discussion about rural electrification in the 1940s. Wolff had highlighted the parallels between rural electrification and broadband, explaining the challenge of bringing electricity to the Columbia Basin at the outset of World War II.